Everone knows the standard 1.6 gallon low-flush toilet does not work as advertised. 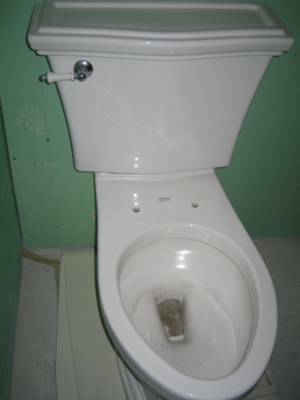 The three different models we installed in our bathroom in as many years did not easily flush large turds.I can categorically say that if you have trouble with non-flushing 1.6 gallon toilets, than the Toto UltraMax will change your bathroom life. You can store that plunger away. Created by clever Japanese engineers who figured that if you could make a toilet that worked in space, why not one that worked at home? They rethought the standard design, and came up with the G-Max system.